On this last day of 2018, I wanted to review DivGro's best and worst performers of the year. Unlike last year, when DivGro contained lots of winners, this year is a mixed bag. Of the 49 positions I owned throughout the year, 18 are trading up and 31 are trading down. With more positions down than up, it is unsurprising that these positions are down 5.6%, on average. The largest losses are from Ford Motor (F), down 39.6% since January 2018, and Altria Group (MO), down 30.2% since January 2018. On the other hand, Netflix (NFLX) returned 33.1% this year, and Omega Healthcare Investors (OHI) returned 28.1% in 2018. This article provides a summary of 2018's dividend increases, as summarized in my weekly Dividend Increases articles. In preparing for this article, I excluded dividend increases of stocks not in the latest available CCC list (dated 11/30/18) and those that no longer pass the above screens. With my monthly 10 Dividend Growth Stocks series, I rank a subset of CCC stocks and present the 10 top-ranked stocks for further research. In the October edition, I debuted a new ranking system. The ranking system assigns letter grades to stocks relative to their performance among sector peers. 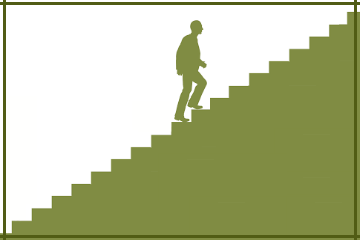 Having a sector-oriented ranking system avoids the problems associated with ranking unlike stocks. This month I decided to rank CCC stocks in one of the defensive sectors, Consumer Staples. Given the increase in market volatility since October, perhaps it is prudent to start considering defensive stocks. Defensive stocks tend to outperform the broader market during market downturns. In Part 2 of this article I'm covering three more additions to DivGro. These are stocks in the Financials and Information Technology sectors. Part 1 presented two new positions in the Materials sector, Air Products and Chemicals (APD) and International Paper (IP); and one new position in the Energy sector, Chevron (CVX). The stock market dropped to a 20-month low on the worst Christmas Eve trading day ever! Continued turmoil in Washington is rattling financial markets, and the S&P 500 is on the brink of a bear market. This article reports on six recent buys, all new positions in my portfolio. Part 1 covers additions in the Materials and Energy sectors, while Part 2 will cover additions in the Financials and Information Technology sectors. I like monitoring dividend increases for stocks on my watch list of dividend growth stocks because I consider such stocks to be candidates for further analysis. Companies that regularly raise dividends show confidence in the potential growth of future earnings. In the last week, five companies I track announced dividend increases, including one of the stocks I own. Four of the five increases are double-digit percentage increases! 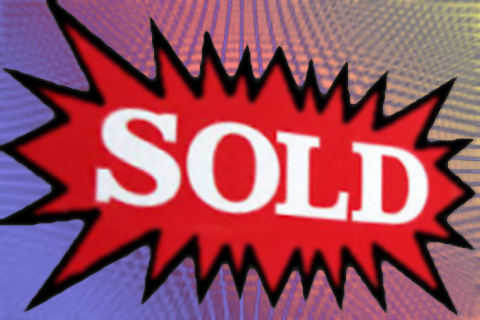 Part 3 of my article on harvesting tax losses covers three more recent sells. I'm trimming these stocks rather because I'm hoping to buy back shares in 2019 to retain the dividends and to lower my average cost basis. Part 1 covered Ford (F), while Part 2 covered recent sells on Gilead Sciences (GILD), KB Home (KBH), and Nvidia (NVDA). I trimmed GILD, but closed KBH and NVDA because I'm no longer interested in owning those stocks. In the conclusion of this article, I'll provide a summary of all the trades reported in this article. Today I'm presenting Part 2 of a three-part article on recent sell transactions to harvest tax losses. With one of the sells presented today, I'm trimming two-thirds of a losing position with the view to reestablishing the position next year. Two additional sells are closing trades because I have no desire to hold onto these positions. Part 1 presented a recent sell of Ford (F) in which I significantly trimmed my losing position. I hope to buy back shares next year before F goes ex-dividend, but I'll need to wait 31 days to avoid breaking the wash-sale rule. F's next ex-dividend date should be near the end of January, so I'll have a window of about a week to buy back shares. See Part 3 of this article for the final tax-loss harvesting sells. In year's past, I've sold stocks in late November or into December to offset capital gains, so limiting my tax liability. The strategy is not without problems, but I like having an excuse to clean house. So far in 2018, I've earned about $15,000 in capital gains from sold stocks and an additional $6,000 from closed options trades. To lighten my 2018 tax burden, I decided to realize some offsetting losses by trimming and even closing several losing positions. Part 1 of this article presents a recent sell in which I'm trimming a losing position. I hope to buy back shares next year before the ex-dividend date and to establish a lower cost basis. I'll need to wait 31 days to avoid breaking the so-called wash-sale rule. Part 2 and Part 3 will cover additional sells. Most of these are similar in that I'm hoping to reestablish my positions next year. But I'm also closing one position altogether. Monitoring dividend increases for stocks on my watch is one way to identify candidates for further analysis. Companies that regularly increase their dividends show confidence in future earnings growth potential. This past week, 13 companies announced dividend increases, including three of the stocks I own. Five of these increases are double-digit percentage increases! I believe in setting stretching but achievable goals. It is not very useful to entertain goals that are easy to achieve. Such goals are not inspiring and they don't require special effort. And achieving an easy goal won't give you a special sense of accomplishment. On the other hand, setting goals that are unachievable or impossibly hard is not useful either. Doing so just sets you up for failure. In this article, I'm presenting my goals for 2019. One way to identify dividend growth stocks for further analysis is to monitor dividend increases. Companies can only increase their dividends regularly and sustainably if they grow earnings sufficiently. Last week, 28 companies declared dividend increases, including 2 of my DivGro holdings. I already covered dividend increases of stocks in the Real Estate, Health Care, and Industrial sectors. Today I'm covering dividend increases of stocks in the remaining sectors. Monitoring dividend increases for stocks on my watch is one way to identify candidates for further analysis. Companies can only raise their dividends regularly and sustainably if they grow earnings sufficiently. In the last week, 28 companies declared dividend increases, including 2 of my DivGro holdings. Part 1 of this article presented dividend increases for stocks in the Real Estate sector. This is Part 2, which covers the Health Care and Industrials sectors. See Part 3 for dividend increases of stocks in the remaining sectors. Four of the 9 stocks covered in Part 2 announced double-digit percentage increases and the top increase is an impressive 21%! I like monitoring dividend increases for stocks on my watch list of dividend growth stocks because I consider such stocks to be candidates for further analysis. Companies that regularly raise their dividend payments show confidence in future earnings growth potential. In the past week, 28 companies declared dividend increases. Part 1 covers dividend increases in the Real Estate sector. See Part 2 and Part 3 for dividend increases in the other sectors. None of the Real Estate sector stocks announced double-digit percentage increases, but the year-over-year increase of one of the stocks is 20%! This happens when a company increases its dividend more than once a year. I write monthly reviews of my portfolio of dividend growth stocks, DivGro, to detail any transactions and to summarize the dividends I received during the month. I also summarize the changes to DivGro's projected annual dividend income (PADI). In November I received dividends totaling $1,811 from 21 stocks in my portfolio, a year over year increase of 80%. So far in 2018, I've collected $17,591 in dividends or about 98% of my 2018 goal of $18,000. This month I reduced the size of one of my riskier but higher yielding positions. I opened two new positions and added shares to four existing positions. Five DivGro stocks announced dividend increases in November. The net result of these changes is that PADI increased by about 1.3% in November. Year over year, PADI increased by 41.6%. Dividends are preferred by investors as they provide actual solid cash rewards for holding a particular stock. What is even more exciting is to see these dividends grow year on year. While it seems very easy, a lot of research is involved in selecting the stocks for creating a successful dividend growth portfolio. Dividend growth investing is both an art and a science and your portfolio needs a lot of patience and attention in order to grow. DivGro's focus continues to be dividend growth investing, and most of my articles discuss the management of my dividend growth portfolio. But I also do options trades, so I write monthly options updates to keep track my options income. Each update serves as a status report on the open options and obligations I have. I also report new trades and provide a running tally of DivGro's options income to date. I added options trading to DivGro to leverage the equity in my portfolio and to generate extra income. Options trading allows me to buy more dividend growth stocks that otherwise would have been possible. Companies that regularly increase dividends show confidence in future earnings growth potential. Monitoring dividend increases for stocks on my watch list helps me identify candidates for further analysis. This past week, eight companies announced dividend increases, including one of the stocks I own. Two of these increases are double-digit percentage increases! In a recent article, I presented the top 10 holdings of Dividend ETFs in each GICS sector along with F.A.S.T. Graph charts of a selection of stocks I consider worthy of further analysis and possible investment. For this month's top 10 list, I decided to rank these stocks and present the top 10 stocks along with my fair value estimates and other key metrics. I'm still tweaking the new ranking system and I hope to return to ranking an entire GICs sector next month. In time, I want to use the sector averages to calibrate the ranking system so it does a better job ranking stocks from different sectors. In Part 1 of this article, I presented a virtual portfolio of the top holdings of 47 dividend ETFs. Using a proportional scoring system that favors larger investments and larger ETFs, I calculate dan aggregate score for each ticker in the top 25 holdings of the dividend ETFs. Sorting the aggregate scores in descending order determined the rank of each stock (ticker). The top 50 holdings are not distributed evenly among the 11 GICS sectors. For example, not a single Materials sector stock is present in the top 50 holdings. For dividend growth investors interested in diversifying their portfolios, this is not very helpful. So in Part 2, I'm showcasing the top 10 stocks in each GICS sector. Seeing the top 10 stocks in each sector, along with key ratings and metrics, is quite useful, in my view, and should give readers additional insight into the holdings of dividend ETFs. Companies that regularly increase dividends show confidence in future earnings growth potential. Monitoring dividend increases for stocks on my watch is one way to identify candidates for further analysis. Recently, 20 companies announced dividend increases, including 3 of my DivGro holdings. Part 1 of this article covered increases from the Consumer Discretionary, Consumer Staples, and Utilities sectors. This is Part 2, which covers the remaining sectors. Two of the 9 stocks covered in Part 2 announced double-digit percentage increases and the top increase is a spectacular 29%! I monitor dividend increases for stocks on my watch list to identify candidates for further analysis and possible investment. Recently, 20 companies announced dividend increases, including 3 of my DivGro holdings. Part 1 of this article covers dividend increases from stocks in the Consumer Discretionary, Consumer Staples, and Utilities sectors. Part 2 will cover the remaining sectors. Of the 11 stocks covered in Part 1, three announced double-digit percentage increases and the top increase is 25%! I'm happy to say two of my dividend increases are double-digit increases, too! From time to time, I compile a virtual portfolio consisting of the top 50 holdings of dividend ETFs. To compile the portfolio, I analyze the top 25 holdings in each ETF and assign scores proportional to the size of each holding. Summing the scores of individual holdings allow me to rank them by popularity, and so to find the top holdings of these dividend ETFs. For this edition, I analyzed 47 dividend ETFs. Of the 1,154 tickers found in the top 25 holdings of these ETFs, 389 are unique. Pfizer (PFE) and Verizon Communications (VZ) appear in 25 of the 47 dividend ETFs, the most of any stocks. However, Exxon Mobil (XOM) tops the list by aggregate score and Apple (AAPL) is the runner-up, replacing Microsoft (MSFT) which drops to third place. Dividend growth investors can compare their own portfolios to the top 50 and identify candidates for analysis and possible investment. Companies that regularly increase their dividends show confidence in future earnings growth potential. I monitor dividend increases for stocks on my watch list of dividend growth stocks to identify candidates for further analysis. Last week, 22 companies announced dividend increases. Part 1 of this article covered increases from the Industrials, Health Care, and Utilities sectors. This is Part 2, which covers the remaining sectors. Four of the 11 stocks covered in Part 2 announced double-digit percentage increases! One way to identify dividend growth stocks for further analysis is to monitor dividend increases. Companies that regularly increase their dividends show confidence in future earnings growth potential. This week, 22 companies declared dividend increases. Part 1 of this article covers increases from the Industrials, Health Care, and Utilities sectors. Part 2 will cover the remaining sectors. Of the 11 stocks covered in Part 1, three announced double-digit percentage increases and the top increase is 30%! The stock market had a spooky month in October, with volatility as measured by the CBOE VIX increasing by about 75%, from 12 to 21. The DOW 30 dropped 5.1%, the S&P 500 dropped 6.9%, and the NASDAQ dropped 9.2%. When stock prices fall like that, dividend growth investors get a chance to buy stocks at lower prices and higher yields. I took the opportunity to add several positions and simultaneously to improve my portfolio's risk profile. In this article, I'll present details of these buys (and a few sells) and the resulting impact on DivGro's projected annual dividend income (PADI). Also, I'll present details of dividends received and dividend increases announced in October. Regardless of whether you consider yourself a value investor, dividend investor (income), growth investor, or dividend growth investor, diversification should be an integral part of your investment program because it does matter. Recently, 16 companies announced dividend increases, including one of the stocks I own. Six of these increases are double-digit percentage increases! 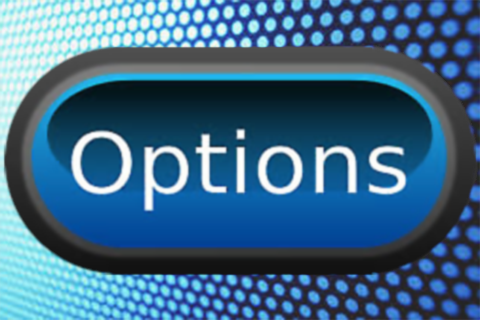 Part 1 of my monthly options update presented October's assigned, expired, closed and rolled options. Also, I reviewed options that expire in the next two months and discussed the progress I've made related to my secured options income goal. In Part 2, I'm providing details on covered calls and put contracts sold in October, as well as a spread trade I executed. I'm also providing the usual snapshot of recent options trades showing a running tally of options income and secured options income. DivGro's focus is dividend growth investing and most of my articles discuss how I use the strategy of dividend growth investing to manage my portfolio. I added options trading to leverage the equity in my portfolio and to generate more income. Through monthly options update articles, I report on these options trades and I track the options income so generated. With lots of trading activity in October, I decided to split this update into two parts. 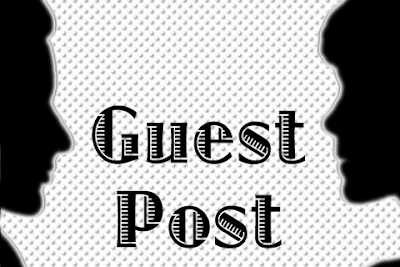 Part 1 provides the usual recap and a snapshot of October's trades. I report on expired, closed, and rolled options, and review a list of options expiring soon. Part 1 concludes with a look at how I'm doing with regards to my secured options income goal. Part 2 will provide details on new covered call and put contracts, as well as a spread trade I executed last month. I'll also provide the usual snapshot of recent options trades. 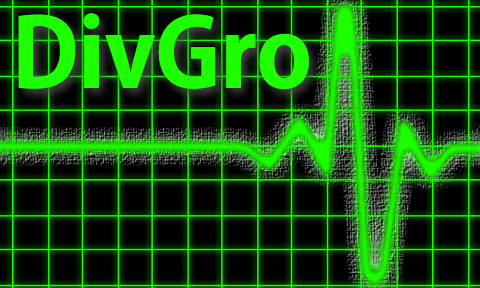 DivGro is my portfolio of dividend growth stocks and I write monthly pulse articles that monitor DivGro's health. These articles are strategy-focused and my overall aim is to reduce portfolio risk and to further diversify my holdings. In the third quarter of 2018, I focused specifically on strengthening DivGro's risk profile by closing or trimming riskier positions and adding higher quality stocks. In this month's edition, I'm reporting several additions to my portfolio. These are high-quality stocks with either Safe or Very Safe dividend safety scores (as assessed by Simply Safe Dividends). One way to identify dividend growth stocks for further analysis is to monitor dividend increases. I look for companies that regularly increase their dividends. This past week, 23 companies on the CCC list announced dividend increases. Part 1 covered dividend increase announcements of stocks in the Financials and Real Estate sectors. This is Part 2, which covers the remaining sectors. Two of the 11 stocks in Part 2 announced double-digit percentage increases. Companies that regularly increase their dividends show confidence in the potential growth of future earnings. Monitoring dividend increases for stocks on my watch is one way I identify candidates for further analysis. This week, 19 companies decided to increase their dividends, including 2 of the stocks I own. Part 1 covered stocks in the Energy, Industrials, and Materials sectors. This is Part 2, which covers the remaining sectors. No fewer than 5 of the 11 stocks in Part 2 announced double-digit percentage increases! Part 1 covers stocks in the Energy, Industrials, and Materials sectors. Part 2 will cover the remaining sectors. Of the 8 stocks I'm covering in Part 1, the top increase is 21%! Companies that regularly raise their dividend payments show confidence in future earnings growth potential. One way to identify dividend growth stocks for further analysis is to monitor dividend increases. In the past week, 9 companies announced dividend increases. Four of these increases are double-digit percentage increases! Welcome to the Q3-2018 review of DivGro, my portfolio of dividend growth stocks. 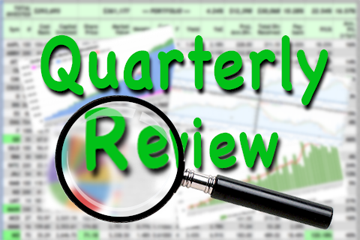 My quarterly reviews provide a summary of dividend income, dividend changes, and transactions executed in the past quarter. I also provide some charts showing various portfolio statistics. While these reviews are mostly informational, they help me to track progress over time. My portfolio generated more than $5,370 of dividend income this quarter and I'm projecting dividend income of at least $5,600 per quarter going forward. In the last week, 5 companies decided to increase their dividends. One of these increases is a double-digit percentage increase! Welcome to the September review of DivGro, my portfolio of dividend growth stocks. 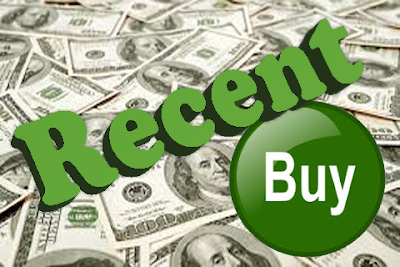 I present details of buys and sells, and I provide a summary of dividends collected. Additionally, I look at how the month's activities have impacted DivGro's projected annual dividend income (PADI). In September, I opened five new positions and added shares to four existing positions. Additionally, I closed two positions. Seven DivGro stocks announced dividend increases in September. The net result of all these changes is that PADI increased by about 1.2% in September. Year over year, PADI increased by 29.5%. As for dividend income, September was another record-setting month! I received dividends totaling $2,713 from 33 stocks in my portfolio, for a year over year increase of 21%. So far in 2018, I've collected $14,660 in dividends or about 81% of my 2018 goal of $18,000. I write monthly options updates to report on my options trades and to keep track of the options income so generated. Each update serves as a status report on the open options and obligations I have. I also report new trades and provide a running tally of DivGro's options income to date. While DivGro's focus continues to be dividend growth investing, I leverage the equity in my portfolio to trade options and generate extra income. This allows me to buy more dividend growth stocks than otherwise would have been possible. This past week, nine companies decided to increase their dividends, including two of my DivGro holdings. No fewer than six of these increases are double-digit percentage increases! I write monthly pulse articles that are strategy-focused and monitor the health of my portfolio. My overall aim is to reduce portfolio risk and to further diversify DivGro's holdings. In the third quarter of 2018, I'm focusing specifically on strengthening my portfolio's risk profile. To that end, I'm closing or trimming riskier positions, looking to diversify across all sectors, and adding higher quality stocks. I update the fair value estimates and rank the dividend growth stocks in my portfolio. Stocks that are fundamentally sound, yet undervalued, are candidates for further investment. Poor-performing stocks with low rankings probably should be sold. Companies that regularly increase dividends show confidence in future earnings growth potential. I monitor dividend increases for stocks on my watch list of dividend growth stocks to identify candidates for further analysis. In the last week, 7 companies announced dividend increases, including 4 of the stocks I own. Four of the dividend increases are double-digit percentage increases! I like monitoring dividend increases for stocks on my watch list of dividend growth stocks because I consider such stocks to be candidates for further analysis. Last week, 4 companies declared dividend increases. Today I'm celebrating posting article number 700 at DivGro! 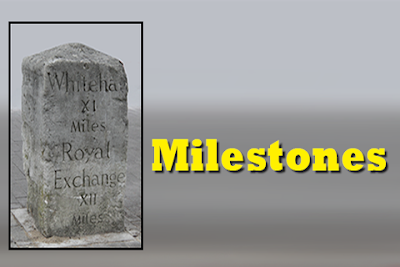 The last time I wrote a Milestones article such as this one was 4 June 2017. That article was number 500 and my page views totaled 832,549 at an average of about 516 page views per day. Now I'm averaging about 594 page views per day. In the past month or so, DivGro averaged about 950 page views per day. 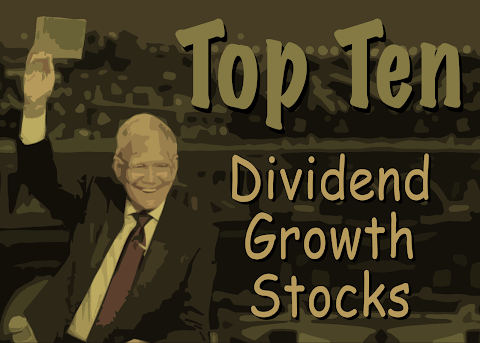 Last week, I published the September edition of my monthly 10 Dividend Growth Stock series. For this month's edition I ranked 240 CCC stocks, which is significantly more than I usually do! The ranking process is quite involved, as I manually collect data from several sources. Prior to this month's ranking of 240 CCC stocks, I've limited the number to about 50 stocks at a time. One advantage of ranking so many stocks is that I can review the top-ranked stocks by sector. Dividend growth investors should find these sector-based lists informative, especially for purposes of diversification. This article presents up to 10 top-ranked stocks per sector. Companies that regularly raise their dividend payments show confidence in future earnings growth potential. Monitoring dividend increases for stocks on my watch is one way to identify candidates for further analysis. This past week, four companies on my watch list decided to increase their dividends, including one of the stocks I own. Two of the dividend increases are double-digit percentage increases. This month I combined several lists and retained only stocks that also appear in the CCC list and pass several other screens as well. The final list contains 240 stocks and for the first time since starting this series, I ranked all 240 candidates! Welcome to the monthly review of DivGro, my portfolio of dividend growth stocks. My goal with these reviews is to share updates to my portfolio and to detail the dividends I received during the month. I also look at how DivGro's projected annual dividend income (PADI) has changed. In August, I added shares to five existing positions. Additionally, I reduced my holdings in one position and closed two positions. Three DivGro stocks announced dividend increases in August. The net result of these changes is that PADI increased by about 0.9% in August. Year over year, PADI increased by 38.9%. As for dividend income, in August I received dividends totaling $1,433 from 18 stocks in my portfolio, a year over year increase of 55%. So far in 2018, I've collected $11,947 in dividends or about 66% of my 2018 goal of $18,000.